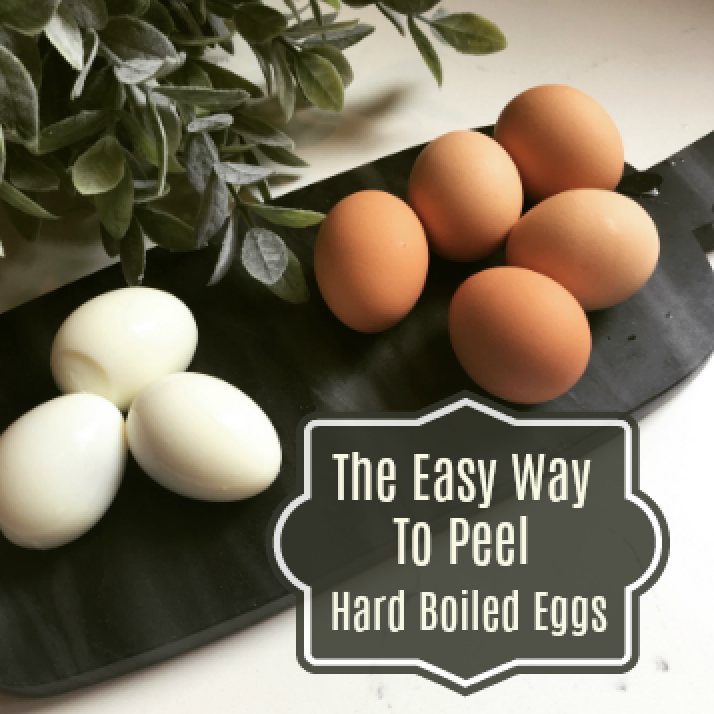 I get a lot of requests on Instagram for this easy method from my Instagram Stories from a while back showing you all how I am able to peel my eggs so easily and end up with the perfect hardboiled eggs. So I thought I would share it here with you all in case you missed it! I have the best Easy-to-Peel hardboiled egg method and I learned it from my mama. All these years I never knew her method. Until I asked. She told me and it was like magic! I couldn’t believe I didn’t know her secret all these years. Now, if she would just give me her recipe for her perfect mashed potatoes. I don’t know about you, but I before I learned this method I used to end up with hardboiled eggs that were not perfect. I was so frustrated because as I would peel the shells off, a lot of the egg white would come with the shells leaving me with disfigured and wonky eggs. I said it….wonky. Or I would end up with 100 little shell fragments that just stuck to the egg and it would take me a long time to get them off. I tried different methods but none of them would give me what I wanted which was a perfectly peeled egg. Once I learned this method from my mom, I always have perfectly cooked eggs and the shell just peels right off! Now, you give it a try! 1. Add water to a pot and bring to a boil; size depending on how many eggs you want to hard boil. 2. Once boiling, add eggs to the water gently with a slotted spoon. Turn down heat to Med/low. Set timer for 15 minutes. 3. While eggs are boiling, fill a large bowl with cold water and add ice. 4. Once eggs are done boiling, drain off water and add eggs into the ice water. Let sit for 3-5 minutes. Don’t leave them sitting for too long or the shells will harden and be more difficult to peel. But, leave them in long enough to set in the ice bath. 5. Start to peel eggs. Gently crack eggs on the side of the sink then peel. The shells will just slide right off of the eggs in usually 2 to 3 peels. Magic.